Cupping therapy is a form of alternative medicine in which cups are placed on the skin to create suction. Supporters of cupping therapy believe the suction of the cups mobilize blood flow to promote the healing of a broad range of medical ailments. Cupping therapy dates back to ancient Egyptian, Chinese, and Middle Eastern cultures. One of the oldest medical textbooks in the world, the Ebers Papyrus, describes how the ancient Egyptians were using cupping therapy in 1,550. 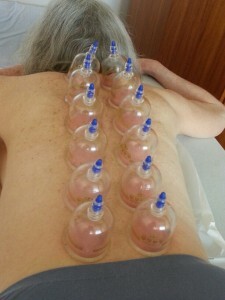 2012 research suggests that cupping therapy may have more than a placebo effect. Australian and Chinese researchers reviewed 135 studies on cupping therapy published between 1992 and 2010. They concluded that cupping therapy may be effective when combined with other treatments like acupuncture in treating various diseases and conditions. A modern version of cupping uses a rubber pump to create the vacuum inside the cup. Sometimes practitioners use medical-grade silicone cups. These are pliable enough to be moved from place to place on the skin and produce a massage-like effect. Cups usually stay for 10 minutes. Cupping therapy supporters believe cupping removes harmful substances and toxins from the body to promote healing.